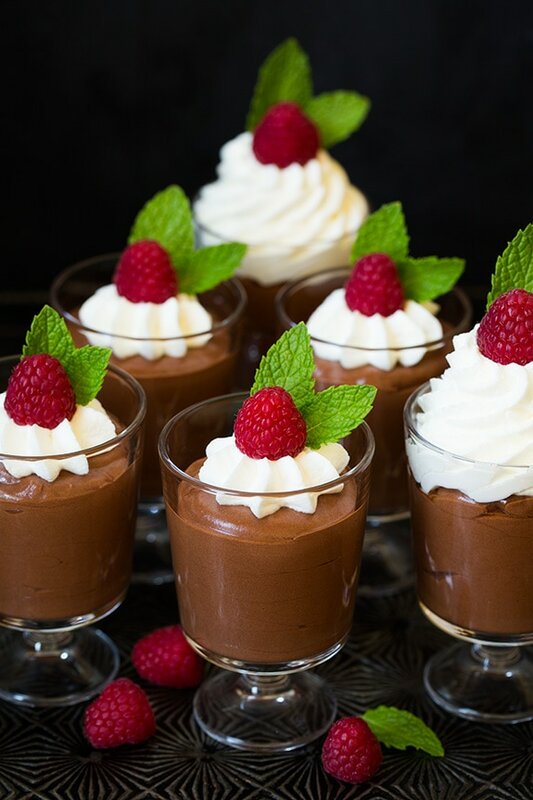 One of my all time favorite treats is chocolate mousse. If only it were calorie free and I could eat it every single day, but sometimes you’ve just got to live a little and splurge sometimes. Life is about balance and I think chocolate most definitely fits into that balance somewhere. 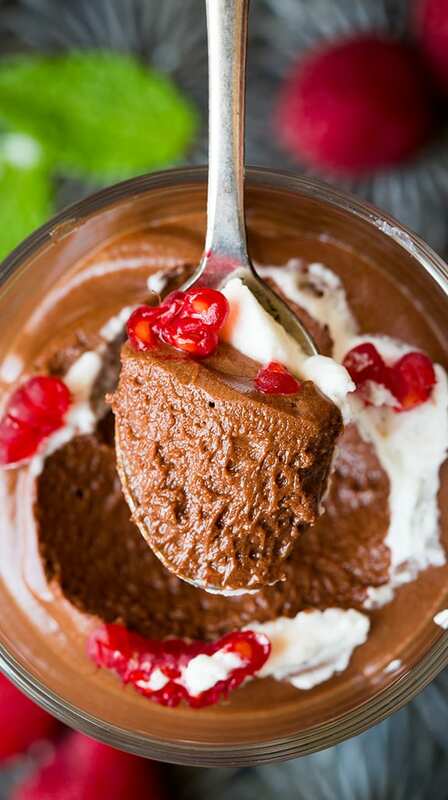 This chocolate mousse is so quick and easy to make, it doesn’t call for raw eggs and it doesn’t have to chill for hours to set. 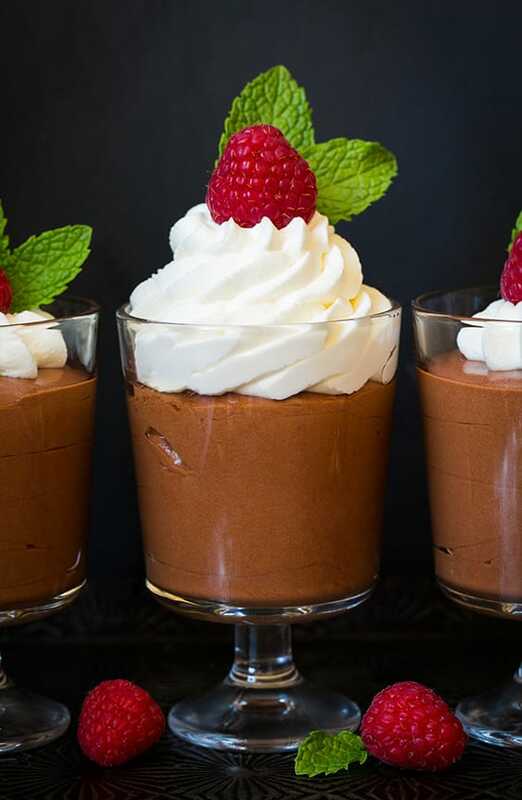 The secret ingredient in this mousse – marshmallows. I adapted this recipe heavily from Nigella Lawson and it is totally genius! No one even notices the marshmallows in it, not that they are a bad thing but definitely not the first thing you’d want to pick up on in a chocolate mousse. 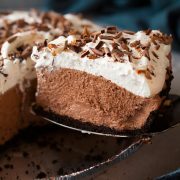 Mostly they just offer a light and fluffy texture and simple, sweet flavor and they leave plenty of room for the chocolate flavor to shine. 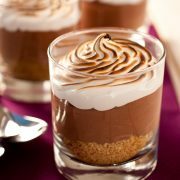 Plus, they are what makes this mousse quick to set. 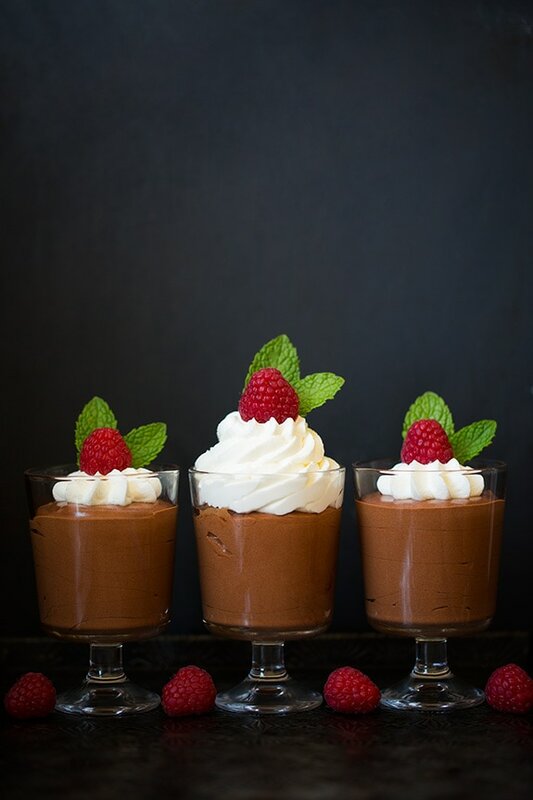 This mousse is going to be my go to chocolate mousse recipe from now on! It has the perfect amount of chocolaty richness, it’s texture is fluffy, melt-in-your mouth perfection, and it’s just divinely decadent. Well worth the splurge on occasion! My sister who isn’t even much of a chocolate fan couldn’t put it down, and my mom, a chocolate fanatic fully approved. Mission accomplished. 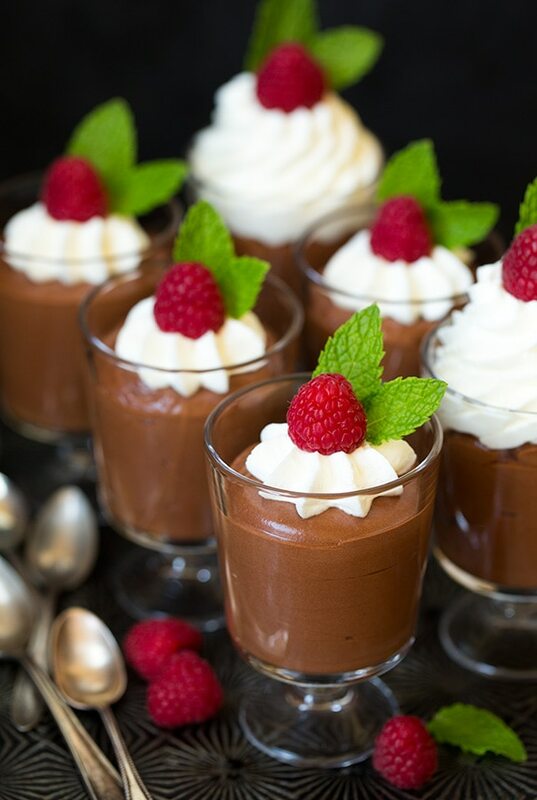 My go-to chocolate mousse recipe! It's amazingly decadent, perfectly fluffy, deliciously creamy and it's so easy to make! So good you'll want to add this to your dessert recipe collection! In a medium saucepan combine butter, chocolate, water, and marshmallows. Set over moderately low heat and cook, stirring frequently until mixture is melted and smooth. Set aside to cool until warm, 7 - 10 minutes (it may appear to separate a little just whisk vigorously to blend). Meanwhile, whip heavy cream with vanilla until stiff peaks form. Fold and stir whipped cream into chocolate mixture. 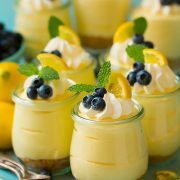 Spoon into 6 dessert cups. Chill 30 minutes or until ready to serve. 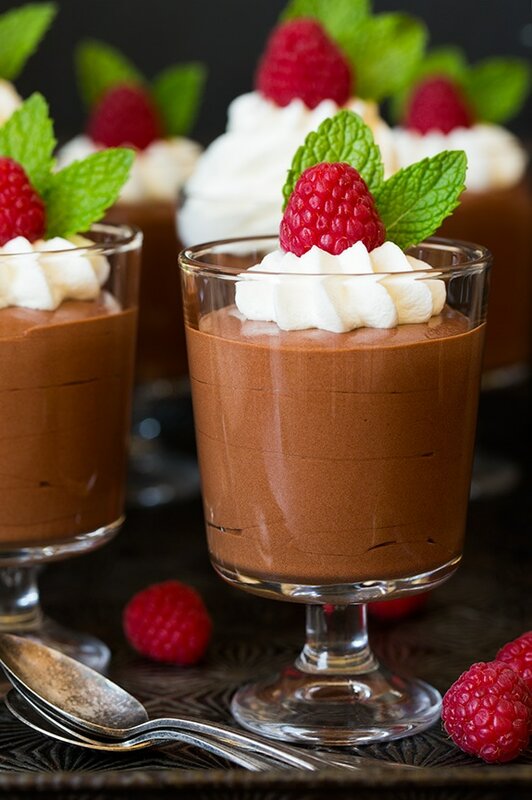 If mousse chills through entirely after several hours of refrigeration, just allow it to rest at room temp about 20 minutes for optimal consistency. 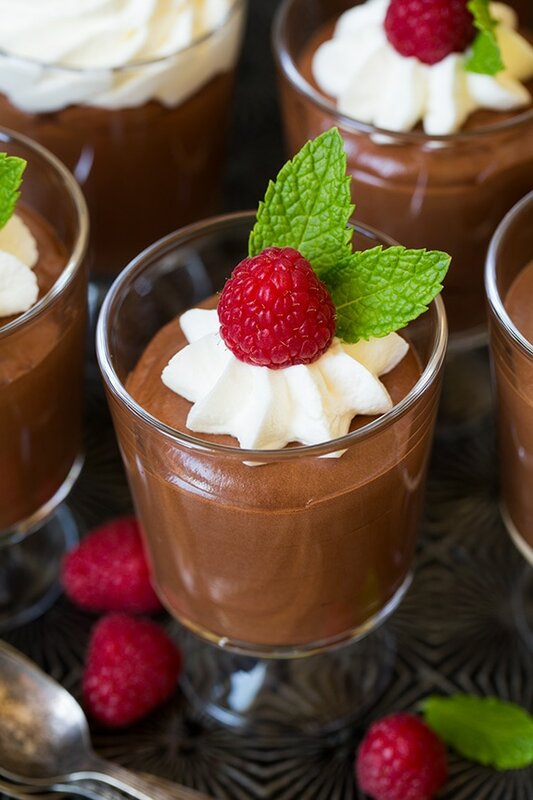 Top with whipped cream, raspberries and mint leaves if desired, or top with whipped cream and shaved chocolate if desired.